UX is the umbrella term for the all-encompassing field of User Experience. “UX encompasses all aspects of the end-users interaction with the company, it’s services, and it’s products.” (Norman & Nielsen, 2017). As a result, UX is important because UX “measures a person’s behavior and feelings when interacting with a brand or product across many platforms” (Thomspon, 2015). Essentially, UX is a symbiotic relationship in which users expect that certain actions will return on certain outcomes. When theses actions don’t lead to those expected outcomes, the user then experiences frustration and other negative emotions. For example, when a user hits ‘purchase’ or ‘confirm’ (action) on their online shopping order, they expect that they will be then transferred to a confirmation page (outcome). If this does not happen, the user then experiences frustration, confusion, and even anger. Since UX has such an important impact on its users, UX is particularly important to utilize as a business tool. So what is the value of ux as a business tool? The emotions or feelings that customers experience when interacting with your brand will ultimately determine their overall emotions towards the brand and products, and if it will get recommended to friends and family. The truth of the matter is that UX is all around us, whether it is done well or not. In an ever increasingly technological world, practically everything we touch is now attached to an interface that we must interact with in order to accomplish a task. Our phones, our televisions, even our refrigerators, and toothbrushes involve us interacting with technology in a myriad of ways. This means that more and more companies are utilizing websites and apps in order to push their brands, products or services. As a result, the ways in which we interact with our technology and the behaviors and feeling that are elicited as a result of those interactions can have an impact on the type of emotions we feel, our productivity, and the way we view certain products or brands. Naturally, as users engage with something, they will experience thoughts or emotions as to how that experience is going for them. Negative experiences with a piece of technology will elicit negative emotions within the user such as confusion and anger. Likewise, positive experiences will result in positive emotions, like happiness or excitement. A user is more likely to remember a negative experience than a positive one, meaning they are more likely to share that experience with others and ultimately, that one negative experience can result in losing potential customers. Likewise, a user who experiences positives emotions could turn end up recommending the brand or services to others, as well as become an advocate or supporter that brand/company. The emotions that are brought out during these interactions are important and essential human emotions, and ultimately affect the ways in which individuals begin to remember your brand or company. The emotions that a user experiences not only impact the way in which users will remember a brand/product, but it will ultimately affect the way in which the user decides to carry on with the task at hand. If a user begins to experience these negative emotions while trying to complete a task online, many will simply give up and no longer try to complete it. “45% of US consumers will abandon an online transaction if their questions or concerns are not addressed quickly.” (Thompson, 2015). If the UX of a website or an app is done poorly and users begin to experience negative emotions, this could result in a loss of traffic or leads on your site or app. Similarly, if the UX of your website or app is done well, then you could be generating more traffic and ultimately ending up with more leads. UX is more than just the experience people have when interacting with your product, it’s the way they remember your brand and company, it’s the way they decide if they wish to continue doing business in the future and it’s the way in which they decide how to share this experience with others. 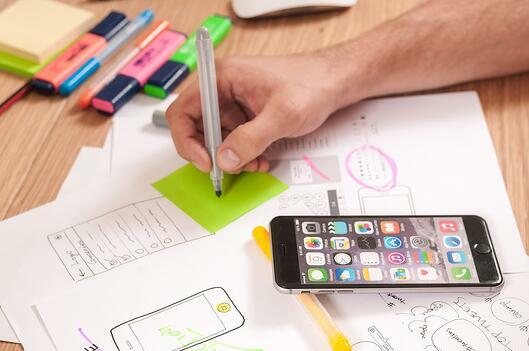 Ultimately, UX is a valuable business tool because it impacts the ways in which customers interact with and engage with your brand, the type of emotions it elicits out of them, and more importantly, whether or not people are returning to your site. Thompson, Jen. “7 Reasons Why UX Matters.” Sundog Interactive, 10 Aug. 2015, www.sundoginteractive.com/blog/7-reasons-why-ux-matters. Norman, Don, and Jakob Nielsen. “Nielsen Norman Group.” The Definition of User Experience (UX), www.nngroup.com/articles/definition-user-experience/.